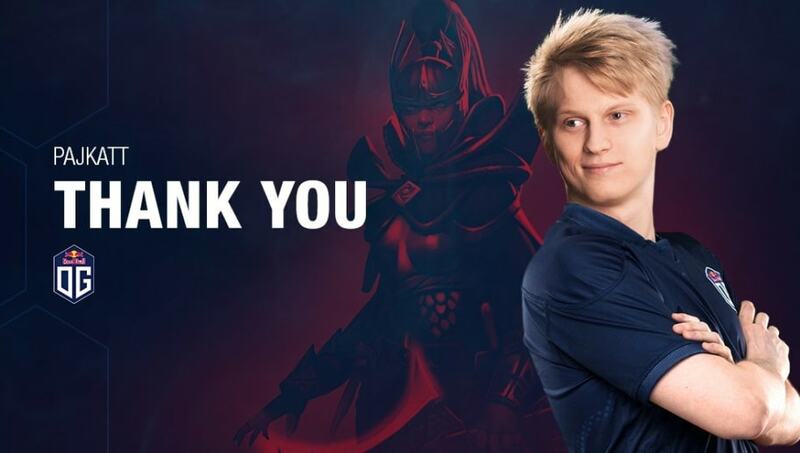 Per Anders Olsson "Pajkatt" Lille was released Thursday from OG's Dota 2 roster. ​​OG's ​Dota 2 roster lineup will undergo changes, the organization said, starting with the release of Pajkatt. He ​joined OG at the end of November to replace Anathan "ana" Pham, though the team apparently ran into problems with the chemistry. "We realized there was not enough space in OG for Pajkatt to express his full potential. His profile, at the end of the way, no matter how excellent it is, did not match," it said. "Team chemistry is a very complex matter, and regardless of how competent an individual is, sometimes the puzzle just doesn’t come together." OG Esports is hosting tryouts for Pajkatt's replacement. The organization teased it will reveal the replacement in an announcement Friday.